Looking for movie tickets? 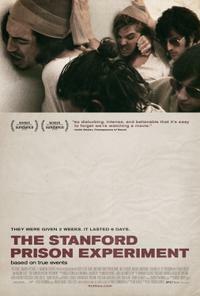 Enter your location to see which movie theaters are playing The Stanford Prison Experiment near you. Based on the infamous true story, 24 students role play as prisoners & guards in an experiment that shocked the world. This chilling thriller stars Ezra Miller & Billy Crudup. Powerful depiction of shocking, harrowing real-life events.